The Perthshire property market remains buoyant as rural properties with land in prime locations are attracting a great deal of interest from local, national and international buyers. The latest figures compiled by the Galbraith Perth office indicated another strong quarter (Oct Dec 2017) in terms of residential activity with more than double the number of properties registered for sale with the firm, compared to the previous quarter. Realistic pricing is still very much key as buyers are very market-aware. There is a shortage of good rural properties for sale throughout Perthshire and Kinross-shire and buyers registered on our mailing list are keen to view a range of rural properties from cottages to farmhouses, country houses and plots. The desire to buy a rural home with a few acres of land, a smallholding or small farm continues to flourish and the demand is not being met by currently available properties. Buyers have been registering with us from all parts of the UK. 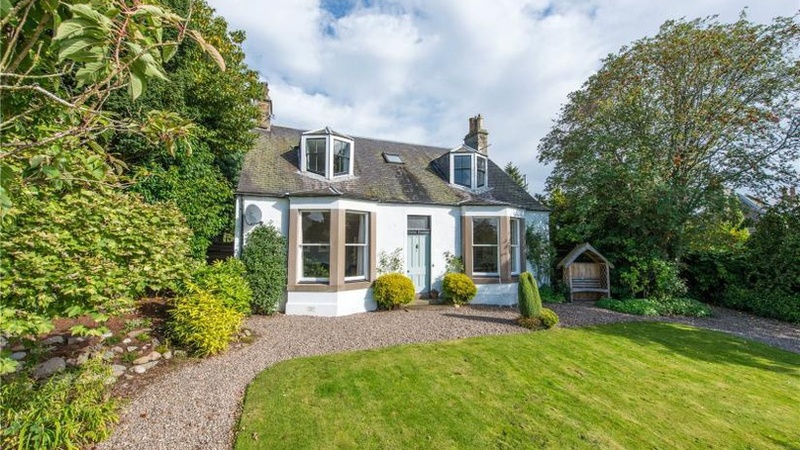 Perthshire is a very popular county for a relocation, either for work, to be closer to family, or indeed for a change of pace in life meaning properties in all price brackets are in high demand from these buyers. The second home market in Perthshire also remains buoyant. Owning a Scottish holiday home remains attractive, particularly property in a highly scenic setting with attractive views and the countryside on the doorstep. Across Scotland as a whole, Galbraith has witnessed a healthy 20% increase in sales for the quarter ending 31 December 2017, compared to the same quarter of 2016. The firm handled over 54 million worth of property sales over the past quarter. Successful purchasers in the past three months have been those who have been registered on the Galbraith database and who are in a position to move quickly when the right property comes on the market. Yew Tree Cottage is situated in a private but accessible location within the desirable village of Scone. The property has two reception rooms, a large breakfasting kitchen, four bedrooms and some lovely original features. Outside there is a pretty, well-maintained garden with terraced area. Outline planning permission was granted in September 2017 for the erection of a single dwelling house within the bottom half of the garden. This offers the new owner the opportunity to build this house or retain use of the larger garden space. Druimantavore Lodge, a former shooting lodge, is now a substantial family home with many fine period details and exceptional views over the countryside. The gardens extend to about 1.29 acres, including a lawn, pond, summer house, mature trees, vegetable and fruit garden and croquet lawn (also used as a grass tennis court). Coul is a delightful estate extending to some 70.15 acres, commanding outstanding views both to the north and south and centred on a charming 'C' listed Georgian house. There are two estate cottages, a beautifully presented traditional stable block to the south and a range of traditional outbuildings and a timber barn. Coul House lies at the centre of the estate and is a quintessential Georgian laird's house.